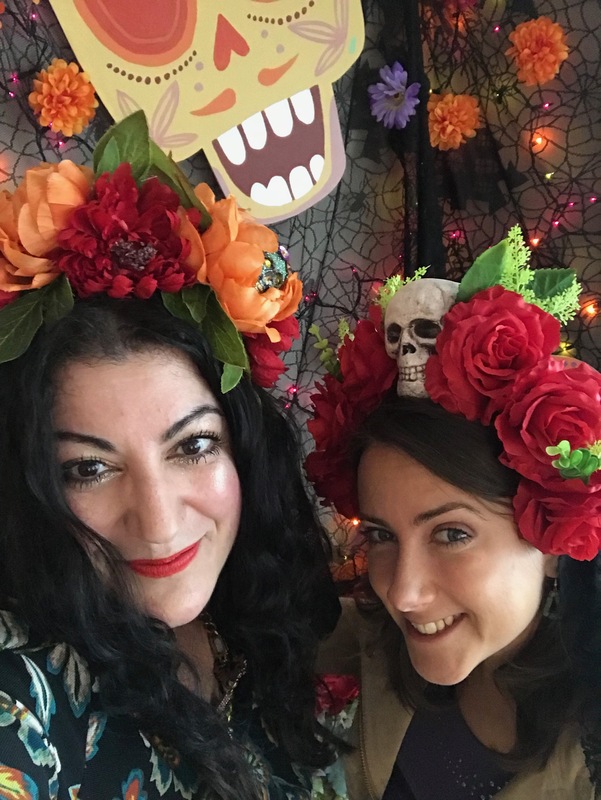 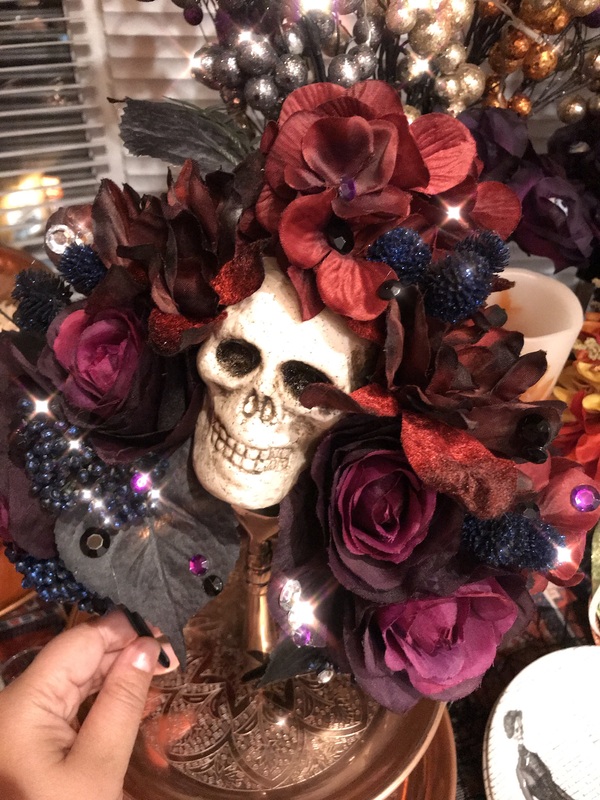 This season I have been busy making scores of headdresses for Dia de los Muertos, and led a craft session to teach my friends how to make them too – such fun! 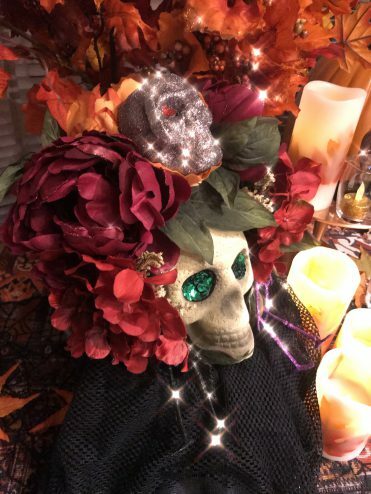 I used sturdy headbands, (either wide plastic or thin metal work well) and with hot glue, added a felt strip as a base to add the decoration. 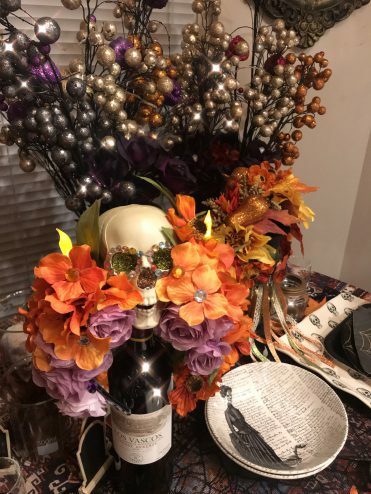 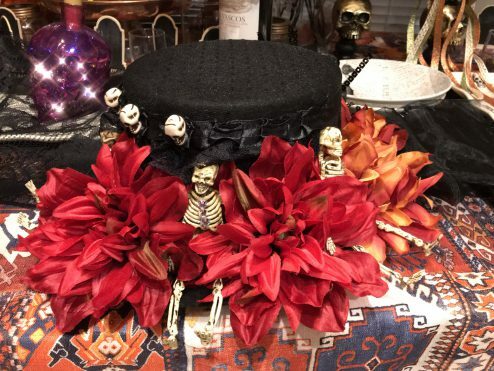 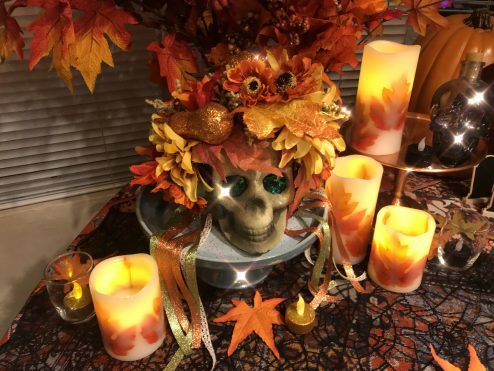 I provided a lovely selection of faux flowers and foliage, plastic and polystyrene skulls and rhinestones, and we dived in, cutting up some dollar store lace tablecloths as mantillas.